Earn $17.00 in Rewards credit. Click to learn more. 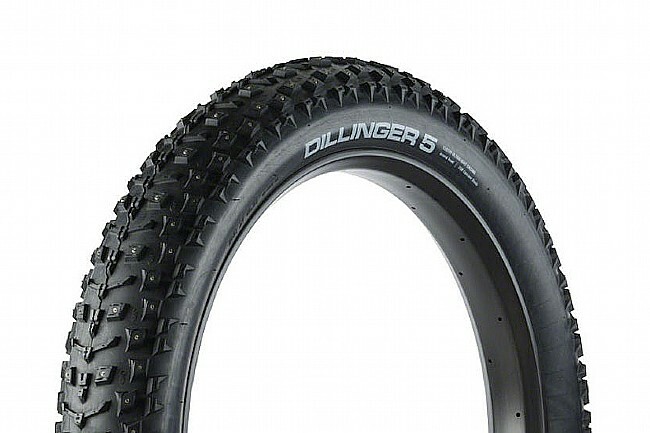 45Nrth's Dillinger 5 Studded 60 TPI Fat Bike Tire features a tubeless ready design, widely spaced lugs across an ultra-wide contact patch, and steel-carbide studs, delivering flotation and grip on ice and packed snow. Dome shaped steel carbide studs w/ concave tip. Compatilbe w/ 70-100mm wide rims.